Sometimes things just naturally come full circle. For decades Nevada’s former U.S. Sen. Harry Reid constantly pounded on two themes: Blocking nuclear waste from being stored in Yucca Mountain in Nye County and pressing for more and more solar panels to be thrown up on thousands of acres of public land and on rooftops across the state. When Congress designated Yucca Mountain as the nation’s sole nuclear waste dump in 1987, Reid said two things, no and hell no. As he rose in seniority in the Democratic Party to become Senate majority leader, he finally found the power to make those words stick and steadily turned down the funding spigot for the project until President Obama shut it down entirely. As he neared retirement, Reid declared Yucca Mountain dead, though President Trump and his Energy Secretary Rick Perry have been trying to breathe life back into it. Meanwhile, Reid campaigned vigorously for green energy, bragging about his role in the state investing $6 billion in green energy and creating 20,000 jobs. The projects include sites such as the 3,000-acre Copper Mountain Solar project outside Boulder City and the 15-megawatt solar panel installation on Nellis Air Force Base. Almost every year at his long-running green energy conference in Las Vegas, Reid would drag out some dignitary from the base to repeat the boast that the project was saving taxpayers $1 million a year in power costs — without ever bothering to mention the panels cost $100 million in 2007 and would reach obsolescence in 25 years and need to be disposed of. Which brings us to the closing of the circle. An alert reader recently brought to our attention a report from a Berkeley-based group called Environmental Progress. It seems that when you do the math, solar panels create 300 times more toxic waste per unit of energy output than nuclear power plants. This prompted our alert reader to suggest it is time to contemplate the Yucca Mountain Solar Panel Repository. 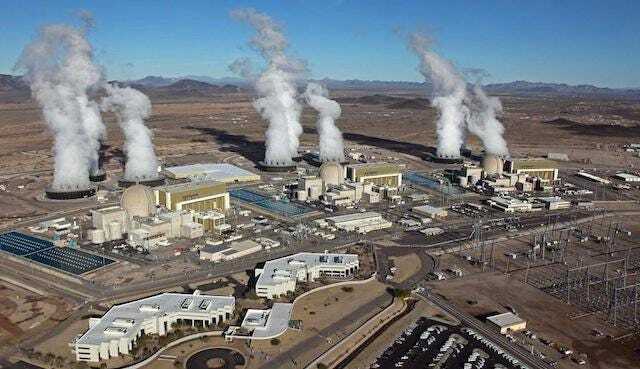 But, since they are already imbedded in glass and plastic and would not necessarily have to be protected by water shields like nuclear waste canisters if they were buried in those miles of tunnels at Yucca Mountain, it seems like a solution to the problem of what do with that $15 billion project sitting idle in the desert. The main problem is that it may not be big enough. The United States has more than a million solar energy installations, many of which are nearing the end of that 25-year life expectancy, and more are being built, though currently solar produces only about 1.3 percent of the world’s electricity, compared to 10 percent for nuclear power. As for the nuclear waste, we never thought it a good idea to dump it in a hole in the ground, when it can be recycled, as many countries currently do. It would be rather easy to haul the stuff to the desert at or near Yucca Mountain and store it above ground in dry casks until it can be recycled, possibly on site, which would create a number of high tech jobs. Don’t you love it when mislaid plans come together? While it is good to read that the Nevada Public Utilities Commission has reversed course and decided to grandfather the rates for existing rooftop solar panel owners, what is the future for home-based power generation? Anyone contemplating installing such panels in the future still will face the much higher connection fees and much lower reimbursement for electricity uploaded to the grid. Though there is still that 30 percent federal tax credit, the chances of new solar installation ever providing a return on investment is nil. The utility power companies in Nevada don’t want you to cut the cord. The rate schedule is an anti-innovation stance. 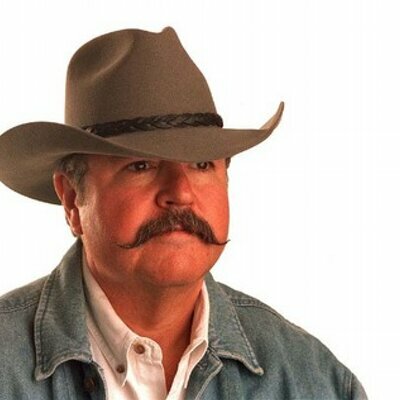 It is like taxing the oil well drillers to protect the whale oil industry. If the market is to work, there ought to be a foreseeable avenue by which a savvy homeowner could put up solar panels and windmills, invest in batteries and hydrogen-powered fuel cells or other generators, as well as efficient appliances, to become free of the grid. But the disincentives created by the PUC make that a pipe dream. The higher connection fee is ludicrous. There is no difference between generating your own power and simply being frugal by turning up the thermostat in the summer. As for the lower reimbursement rate for uploaded power, the PUC fails to take into account the power is uploaded during peak demand time when the power company must pay three or four times more on the open market and there is no transmission line cost or ohms drop. Maybe there should have been a fee charged to those buying new fangled refrigerators to protect the job of the ice delivery man. NV Energy filed an advice letter with the Public Utilities Commission Wednesday asking that the agency grandfather the rates charged to those who had installed rooftop solar panels prior to Jan. 1. The PUC had ordered that over the next 12 years all rooftop solar owners, new and existing, would be charged higher connection fees and receive less credit for power uploaded to the grid. The PUC could act within a matter of weeks or months, while the legislative change sought by the task force could not come until after the 2017 legislative session. The higher rates were at first supposed to be implemented in four years, but the PUC later stretched it out over 12 years. Of course, this does nothing to bring back the many hundreds of rooftop solar installation jobs that disappeared with the new PUC rates and will make any future residential installations fiscally impractical, because new installations might not achieve a return on investment over the life expectancy of the panels. The new rates only cost me, a backyard solar panel owner, about $9 on my June bill but the future rates would push the added cost to nearly $45 for a typical June, assuming minimal decline in panel output. In that same press release, Kevin Geraghty, senior vice president of energy supply, blamed solar panel installers for misleading customers into thinking their rates would be locked in. Amended, not abrogated. Who could have anticipated this kind of bait and switch when the powers that be were all preaching green energy all the time to save the planet? In addition to the NV Energy request to the PUC, a ballot initiative has been approved for this November’s ballot that would roll back the PUC’s new net metering rates. The state Supreme Court is scheduled to hear arguments Friday and whether it meets legal requirements to go forward. To be fair, NV Energy did not seek to have the new higher rates apply to existing customers. That was the work of the PUC staff. But approximately 32,000 contracted angry customers is not good public relations. Then there also is an initiative that qualified for the ballot that would end monopoly status for electric utilities in the state and allow customers to purchase from an open market. That would not be good for the bottom line of NV Energy and the other power companies in the state. Check back Friday for this week’s newspaper column and a discussion of the power struggle. 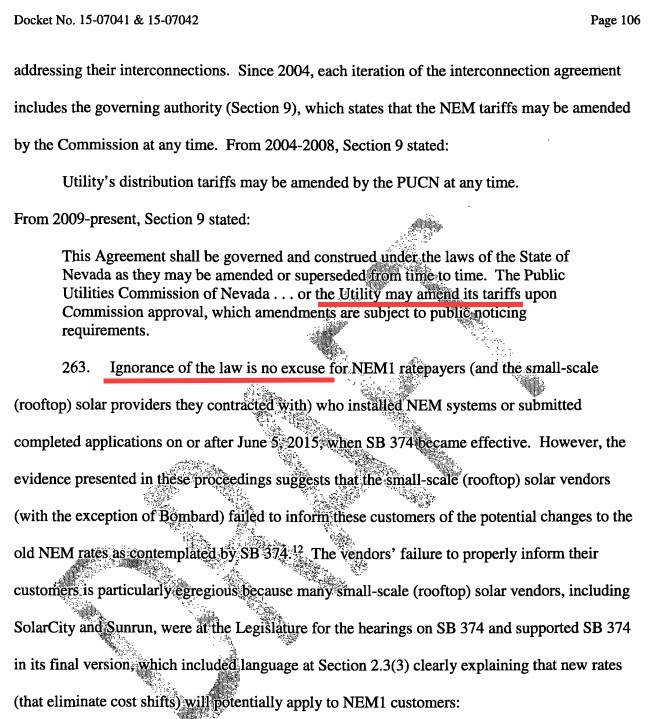 I never could figure out why, when NV Energy jacked up the rates charged to residential solar panel owners because they were somehow being subsidized by non-panel owners, the rates for non-panel owners were not concomitantly reduced and yet the move was somehow going to be revenue neutral. Two reports out this week say NV Energy’s subsidy contention is bogus, and, in fact, solar panel owners are providing a net benefit to power customers in general. A report from The Brookings Institution notes that Nevada’s net metering rates — that change solar panels from being an asset to a liability — have caused the installation of new solar panels to plummet 92 per cent in the first quarter of this year. Does net metering really represent a net cost shift from solar-owning households to others? Or does it in fact contribute net benefits to the grid, utilities, and other ratepayer groups when all costs and benefits are factored in? As to the answer, it’s getting clearer (even if it’s not unanimous). Net metering — contra the Nevada decision — frequently benefits all ratepayers when all costs and benefits are accounted for, which is a finding state public utility commissions, or PUCs, need to take seriously as the fight over net metering rages in states like Arizona, California, and Nevada. Regulators everywhere need to put in place processes that fairly consider the full range of benefits (as well as costs) of net metering as well as other policies as they set and update the policies, regulations, and tariffs that will play a critical role in determining the extent to which the distributed solar industry continues to grow. As I have said before the problem is that monopoly power companies have an infrastructure cost that remains no matter how much power it sells. The only difference between a solar panel owner and a customer who conserves and is efficient is that the solar panel output can be measured. NV Energy calculates that solar panel owners were avoiding paying their fair share of infrastructure costs — to the tune of about $52 a month. But solar panel installer SolarCity and the Natural Resources Defense Council calculate that rooftop solar provides a net benefit to all Nevadans of 1.6 cents per kilowatt-hour in actual costs and as much as 3.4 cents per kWh if you include benefits to the environment, which is admittedly hard to calculate. The report by Brookings also notes that a 2014 study prepared for the Nevada Public Utilities Commission found that net metering provided $36 million in benefits to all NV Energy customers and over the 25-year lifetime of the panels the net benefit amounted to $166 million — just for the ones installed so far. A 2015 study from Maine said the value of rooftop solar was $0.33 per kWh compared to the average retail price of $0.13 per kWh. 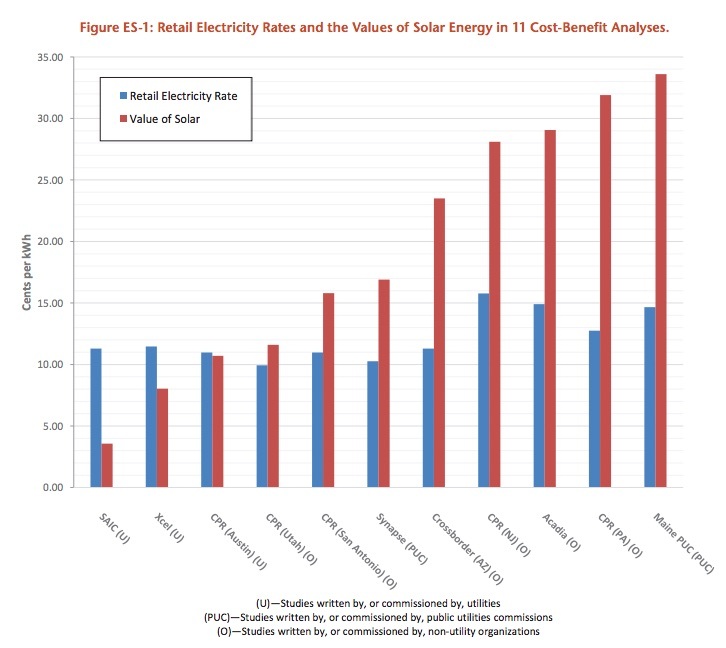 “The study concludes that solar power provides a substantial public benefit because it reduces electricity prices due to the displacement of more expensive power sources …” Brookings concluded. The report goes on to list numerous other studies that found solar panels benefited power customers in general rather than being a drain. Mt. Wheeler Power Co., which covers all of White Pine County as well as parts of Nye, Elko and Eureka counties and parts of three counties in Utah, still provides net metering rates for its customers with solar panels. The current rate is 3 cents per kWh but that is expected to increase when the company’s wholesale provider is expected to increase rates, a company executive said. Valley Electric Association, which services Nevada power customers along the California border from Mineral County to Sandy Valley in Clark County, shows on its website that it also provides net metering rates. Perhaps there is hope for rooftop solar panel owners yet to save their investments. According to an article posted on the Las Vegas Sun’s website Thursday afternoon, but not deemed worthy of being printed today, the Governor’s New Energy Industry Task Force Technical Advisory Committee on Distributed Generation and Storage agreed in principle to allow current residential solar panel owners’ rates to be grandfathered until 2035. The agenda for the meeting of that panel Thursday included a presentation by solar panel installer SolarCity and discussion of the value of distributed solar generation, as well as a review of alternatives to the net metering rates passed by the Public Utilities Commission at the beginning of the year. The PUC voted to “transition” to new net metering rates over 12 years and eventually increase the connection fee for solar panel customers from $12.75 to $38.51 a month and cut the credit for power uploaded to the grid from 11 cents per kWh to 2.6 cents — to the point some solar panels owners could be paying more for power than neighbors without solar panels. The PUC swallowed NV Energy’s bogus argument that it is paying rooftop solar power generators 11 cents per kWh for excess energy, which is more than twice the 4.4 cents per kWh the utility company pays for energy on the open market. But that 4.4 cents is the 24-hour average. Solar panels generate extra power during the peak period when rates can easily exceed 30 cents per kWh. The Sun article said Thursday’s agreement is a first step toward possible legislation repeal of the PUC action, so any change probably won’t come until June 2017 at the close of the legislative session in Carson City. SolarCity told the panel that it plans to release a report in the coming weeks showing that solar panel owners are not being subsidized by non-panel owners to the tune of $52 a month, as NV Energy contends, but rather benefit all ratepayers by at least two cents per kWh. In February, The Alliance for Solar Choice told the PUC that each residential solar panel owner provides a net benefit of $12.08 per month to NV Energy customers. The technical panel is to continue discussion of the topic at a May 18 meeting. The Nevada Public Utilities Commission has decided to screw over the suckers who were enticed by the state to install solar panels on their rooftops — at considerable expense — over 12 years instead of four, jacking up connection fees and lowering credits for uploaded power every three years until 2028, instead of every year until 2020. But, apparently, ignorance of math is. It also points out again that contracts always stated that rates were subject to be amended. Amended not abrogated. 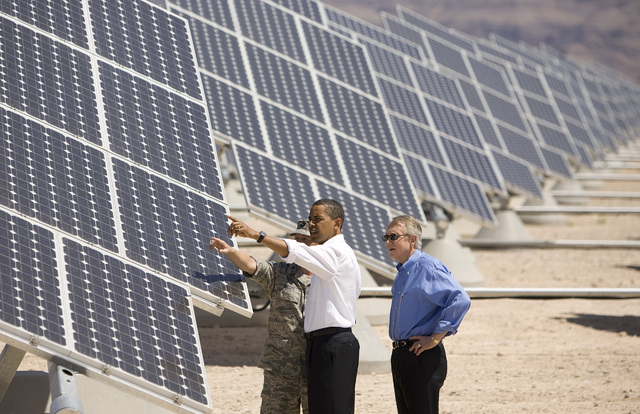 There is absolutely no difference between the owners of solar panels and those who choose to reduce their power consumption by being frugal and efficient, except that the power company can meter the solar panels and readily identify the dirty culprits who refuse to increase the profits of Warren Buffett, the billionaire owner of NV Energy. A white paper titled “Shining Rewards” by the Environment America Research & Policy Center claims that residential solar panels provide a net benefit to the power companies and are not being subsidized by other customers, as NV Energy claims. • Avoided energy costs: Solar energy systems produce clean, renewable electricity on-site, reducing the amount of electricity utilities must generate or purchase from fossil fuel-fired power plants. In addition, solar photovoltaic (PV) systems reduce the amount of energy lost in generation, long-distance transmission and distribution. These losses cost the country millions of dollars every year. • Avoided capital and capacity investment: By reducing overall demand for electricity, solar energy production helps ratepayers and utilities avoid the cost of investing in new power plants, transmission lines and other forms of electricity infrastructure. • Reduced financial risks and electricity prices: Because the price of solar energy tends to be stable over time, while the price of fossil fuels can fluctuate sharply, integrating more solar energy into the grid reduces consumers’ exposure to volatile fossil fuel prices. Also, by reducing demand for energy from the grid, solar PV systems reduce its price, saving money for all ratepayers. The PUC draft order also dismisses the arguments that the new rate structure is a Fifth Amendment taking by saying every investment is a risk. In this case the risk is that you were being defrauded by the state with a bait-and-switch scheme. The PUC is now set to “transition” net-metering rates over 12 years and eventually increase the connection fee for solar panel customers from $12.75 to $38.51 and cut the credit for power uploaded to the grid from 11 cents per kWh to 2.6 cents — to the point some solar panels owners could be paying more for power than neighbors without solar panels. Another bogus argument is that NV Energy is paying rooftop solar power generators 11 cents per kWh for excess energy, which is more than twice the 4.4 cents per kWh the utility company pays for energy on the open market. But that 4.4 cents is the 24-hour average. Solar panels generate extra power during the peak period when rates can easily exceed 30 cents per kWh.